 Focus on your core expertise – join Mediakunta! Mediakunta is a cooperative of the Union of Journalists in Finland (UJF) for journalists and media professionals. We handle the billing and paperwork for you. We know the media sector and provide members with both UJF and co-worker support. We are a community. When you complete the linked form and join Mediakunta you will first pay the capital share sum and joining fee. You will also agree to the cooperatives rules and regulations and its membership agreement. The joining fee is €99. The share capital sum is €1. The joining fee is to commit members to the activities of the cooperative and is non-refundable. After making the payment by online banking you will receive the login details to our intranet system by email, so that you can start using our services immediately. to benefit the membership. The cooperative also levies a contribution from each billing to cover Mediakunta’s services. The amount of the contribution depends on your income. If a surplus is generated from invoicing, it can be redistributed to members as share capital interest proportionate to their billing. To join Mediakunta and work as a member of it you have to be a member of the Union of Journalists of Finland. 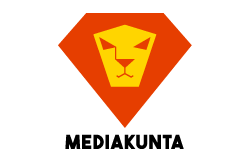 If you are not yet a member of the UJF, you can first join here. You can also join the Finka unemployment fund.